Nothing beats homemade pizza, but sometimes you want to spice it up a little bit - with garlic & herb crust, that is. Trader Joe's sells Garlic & Herb Pizza Dough for $1.19 and it is the bomb.com. I love a good Margherita Pizza (and I mean good margherita pizza - I worked at a neapolitan pizzeria in high school) and this homemade version stands out thanks to this flavorful crust. Mix things up a bit by adding your own toppings, from the classic pepperoni to prosciutto or caramelized onions or sausage. I also just got the idea to STUFF this crust with even more cheese, so I'm going to do that ASAP and promise to update you on how perfect it probably is. You can easily keep a bag of this pizza dough in the freezer (or split the portion in half if you only want a small pizza and freeze the other half to use at a later point) for a quick weeknight dinner any night of the week. Optional toppings: mushrooms, caramelized onions, pepperoni...the possibilities are endless! 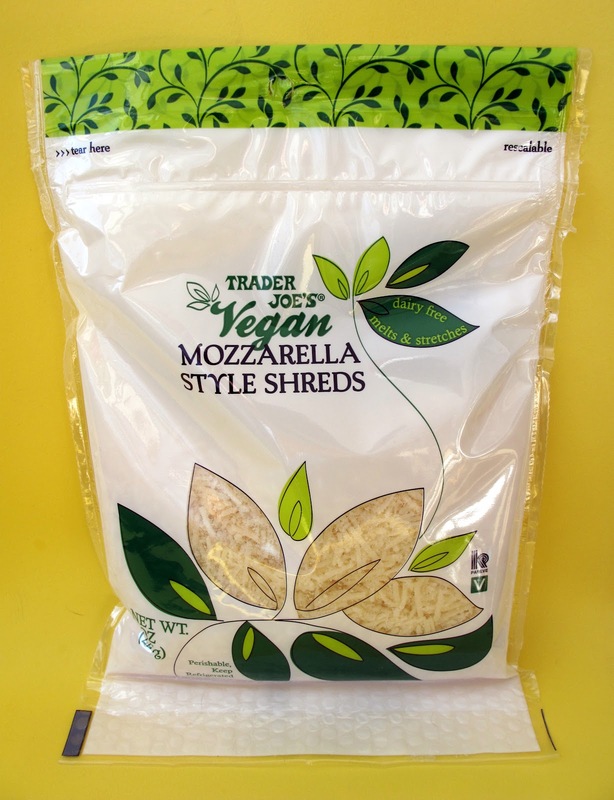 Dairy Free: Choose a dairy free cheese - Trader Joe's even makes a vegan mozzarella! 2. Roll out your dough into a circlular-ish shape, so that the dough is an even thickness all across, about 1 cm. You can use a rolling pin if you have one, but I just used a sturdy glass. 3. Drizzle a little olive oil on the dough and spread it out with a spoon (about 1/2 a tablespoon). 4. Spread your favorite tomato sauce evenly across the dough up to the edges, leaving room for a crust to form. Feel free to add as little or as much sauce as you like. 5. Top with mozzarella, as much or as little as you like. 6. Spread 6-8 basil leaves on top of the pizza. 7. Bake for 7-12 minutes, checking every 3 minutes or so after you reach 7 minutes. The pizza is done when the dough has formed a hard crust on the edge of the pizza and is slightly browned. 8. Drizzle the dough with a little bit of olive oil and top with sea salt. Enjoy! LUNCH TOMORROW - Whether you like your leftover pizza hot or cold, this recipe is perfect for lunch the next day. Melty mozzarella and fresh basil will make lunchtime so much better. STORING - Store in an airtight container in the fridge and enjoy within 3-4 days. If you are having it leftover at home, reheat in the oven at 425 for 5-7 minutes to crisp it back up! EXTRA INGREDIENTS - If you have extra mozzarella, just eat it...duh. Or you could make a nice Caprese salad with any extra basil as well. If you have extra dough, freezing pizza dough is actually super easy - so save it for your next pizza night! Same goes for any extra sauce - I put my extra tomato sauce in plastic bags and label it to toss it in the freezer for almost any other recipe, from pasta to chili to, you guessed it, more pizza.